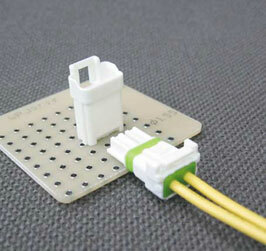 This connector for electrical connection can be used on both waterproof and non-waterproof conditions, depending on usage. Just by placing a rubber part will change it into a water resistant connector. Both conditions are using the same header.